← McCain bribes America for votes? On Sunday’s Meet the Press, Brian Williams poorly hosted the show that had for years been superbly moderated by the late Tim Russert. His guests, Sen. Joe Biden (D-DE) and Sen. Lindsey Graham (R-SC) were originally scheduled to appear a week earlier. They tackled a few issues: public campaign financing, NAFTA and big oil. It was clear, early and often, that Williams’s objective was to put Senator Biden on the defensive about Barack Obama while giving a mostly free pass to Senator Graham on John McCain. While covering campaign financing, Williams was a one-trick pony solely repeating the mantra that Obama said he would take public funds and now he isn’t. At the same time, he skipped altogether the DNC lawsuit involving campaign financing issues against the John McCain campaign. He also ignored that McCain will still be taking corporate lobbyist and PAC dollars while Obama would not. He never discussed how McCain chose not to dissuade the 527 Groups or that by taking public financing, it would limit the total amount of money Obama would be able to accept from the small donors which would keep control with corporate interests, something Obama had vowed to extinguish. SEN. BARACK OBAMA (D-IL): We’ve made the decision not to participate in the public financing system for the general election. SEN. JOHN McCAIN (R-AZ): He has completely reversed himself and gone back not on his word to me, but the commitment that he made to the American people. Williams extracted 1 sentence from an entire Obama speech explaining the reason why he was foregoing public financing. That was followed by a unchallenged slam by McCain. Next he cuts to one question from the Democratic debate in Cleveland, Ohio this past February. TIM RUSSERT: Well, let me ask you about motivating, inspiring, keeping your word. Nothing more important. Last year you said if you were the nominee you would opt for public financing in the general election of the campaign, try to get some of the money out. You checked “yes” on a questionnaire. SEN. OBAMA: (Unintelligible)…politics at worst. RUSSERT: So you may opt out of public financing? You may break your word? SEN. OBAMA: What I–what I’ve said is at the point where I’m the nominee, at the point where it’s appropriate, I will sit down with John McCain and make sure that we have a system that works for everybody. 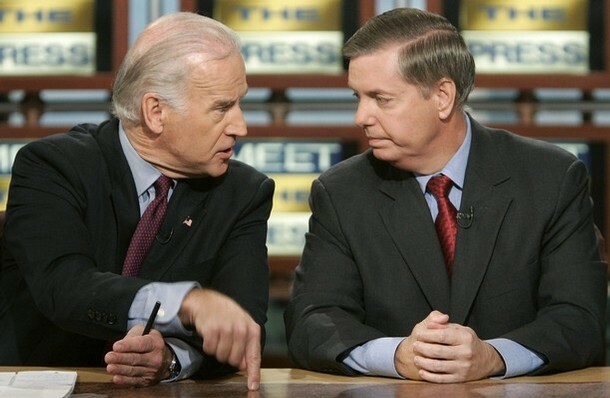 Now that Williams had painted the picture for the viewers, Biden was thrust on the defensive while Graham played the role of pile-on. SEN. BIDEN: … The irony is, although he has changed his position–I’m not going to color that, he’s changed his position–the fact of the matter is he has 1,400,000 contributors, the vast majority of whom contribute less than a hundred bucks a piece. …. Not one of them could say, “If I don’t–if you don’t change your mind, I’m withdrawing my support.” … [I]n terms of influence and big money, there is no influence or big money in his campaign. Of course, Biden is trying to explain that by accepting the 1.4 million contributors and turning away the PACs and corporate lobbyist dollars, Obama is truly using a public financing system and isn’t beholden to any corporate interest or big money group. McCain, who will still be accepting the PAC and corporate interest dollars will have some favors to repay. BRIAN WILLIAMS: But where does this leave public financing? Public financing needs to be fixed by someone that actually cares about true public financing. It also needs to be addressed by someone who has no political favors to repay. Political favors that allows the Pharmaceutical Bill to be written by the pharmaceutical companies, the Bankruptcy Bill to be written by the credit card companies and the Commodity Futures Modernization Act of 2000 which contains the so-called Enron Loophole that was written by Senator Phil Gramm and Enron Lobbyists. WILLIAMS: Senator Graham, does this mean it’s (public financing) broken forever? 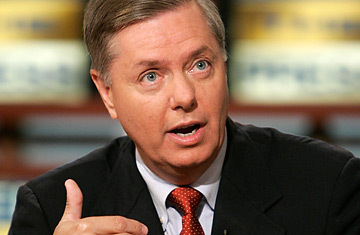 SEN. LINDSEY GRAHAM (R-SC): It means his word’s broken forever on this issue. Williams let Graham stay off the point and let him take the digs at Obama. SEN. BIDEN: Obama did say, “I’m going to be a game changer.” He has been a game changer. Big money is not influencing his campaign. Major interests are not influencing his campaign. Biden is working to stay on message, which is critical to understand. This is not a clear-cut issue. The reasoning behind the Obama campaign’s decision is sound but the Republicans and the media will have none of it. WILLIAMS: But had that been the McCain campaign, wouldn’t it have been just as easy for them to, discovering this potential gold mine on the Internet, have made this same decision? Of course McCain could have gone this route too. Except, McCain could never generate the kind of money Obama has. Why didn’t Williams ask Graham why McCain wouldn’t forego the PAC and corporate lobbyist money? Why didn’t Williams ask Graham why McCain wouldn’t harshly attack the right wing 527 Groups, as Obama had done? MoveOn.org has ceased their 527 Groups to honor Obama’s request of a clean campaign. Why hasn’t McCain done the same thing? Why didn’t Brian Williams ask those questions? SEN. GRAHAM: Here’s the question. “If you are nominated for president in 2008 and your major opponents agree to forego private funding in the general election campaign, will you participate in the presidential public financing system?” Obama: “Yes, I have been a longtime advocate for public financing of campaigns combined with free television and radio time as a way to reduce the influence of moneyed special interests.” November 2007. WILLIAMS: The words of Senator Hillary Clinton, Milwaukee Journal Sentinel, February 17th, 2008. “My understanding is that Senator Obama said he would take public financing and that now he’s saying he won’t. 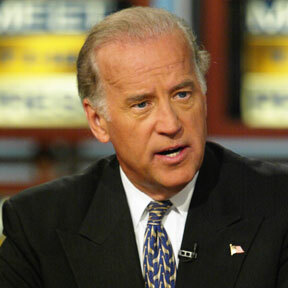 So I think it raises some serious questions about what it is he stands for.” Her words, Senator Biden. Nice hatchet job, Brian. Taking a known right wing pundit and quoting him to make a point? Pretty lame, sir. Biden points out that the public financing system the way it is designed is broken and favors corporate donantions and he discusses one solution to help fix it. SEN. BIDEN: … [H]e would keep major influences out of his campaign and out of his presidency. It didn’t fit within the matrix of public financing as we talked about it, but that was the purpose of public financing. That’s the rationale. Put it another way. If everyone in America agreed that 80 percent of their contributions for House, Senate, and president could only come from people making contributions of $100 or less, we’d have a pretty darn good system. The influence of money would be gone. WILLIAMS: Senator Graham, you heard that it turns out he’s keeping his promise. Seriously, Brian. What the hell was that? 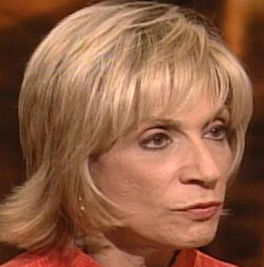 So to follow up later in the broadcast, Williams had Andrea Mitchell address this once more. WILLIAMS: Is campaign finance … one of those–the trickle down issues … that people get their arms around and care about? MS. MITCHELL: He repeated it twice. Is this New York, New York. The issue so great McCain repeated it twice? Andrea. Andrea. I’m so ashamed of your comments that I said your name twice. We still have a long way to go in this campaign. If the media is going to do this type of hatchet job on the truth, then we are looking at a long 4½ months. 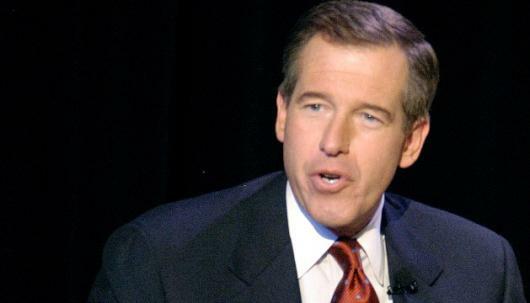 I guess I shouldn’t be all that surprised by Brian Williams, especially after seeing his moderation of the primary debates. What also was clear was Williams didn’t impress the bosses at NBC either since starting next week Tom Brokaw will take over as host of Meet The Press through this election cycle. This entry was posted in Barack Obama, Election 2008, John McCain, Meet The Press, News, Politics. Bookmark the permalink. Brian Williams certainly isn’t the interviewer Russet (or Koppel, for that matter) was. I hope Brokaw does a better job. I might not watch MTP much (hard, as I said in a post, to watch that with a 2 year old wanting to watch Elmo on Sunday mornings), but I certainly did appreciate Russert pinning down politicians who thought they could get away with something.